They were a good pair of jeans, and will be missed. It’s tough to look at something and know that time is not a luxury. So has been the case with my favorite jeans, which I am about to put down and trash. Everyone has a pair of jeans or similar piece of clothing that just looks good with everything, and always manages to find its way into your suitcase or backpack when you travel. That “go-to” item, when you don’t want to0 put too much mental effort into figuring out what you should wear or what looks good on a Friday night or even a Tuesday afternoon. So you can imagine the regret I have and guilt I’m experiencing, knowing that my jeans have lived well beyond their useful life. Battered, bruised, abused, and torn, my jeans have seen much better days, and will be better off without me. And they will appreciate not having to put up with the violence that is my washing machine, or the heat from my dryer. 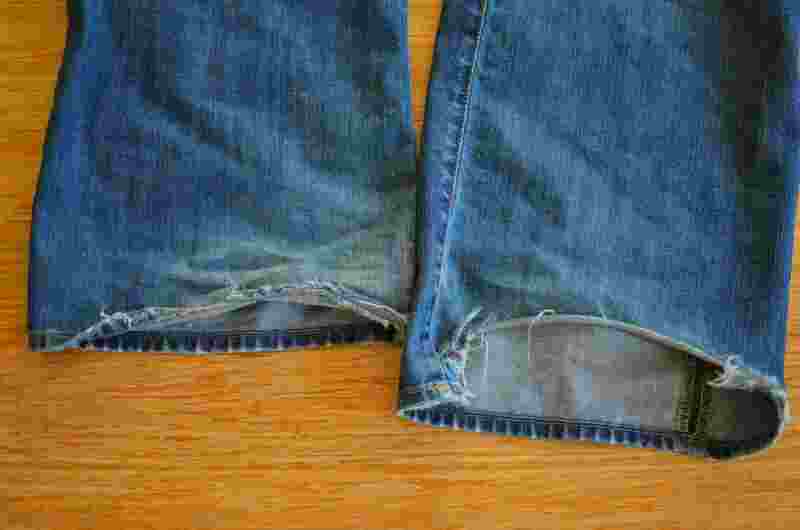 Let me tell a little bit about my jeans… They are from the GAP. 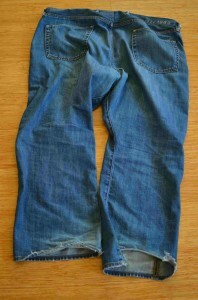 I bought them a long time ago, way before the whole controversy about the new GAP logo (thankfully they reconsidered). It was somewhere in 2007, when I finally got them home. They are/were loose fit jeans, and they managed to contort to my body dimensions in a way I never truly known jeans to contort before. Whether it was running to catch a cab or sitting at a bar watching the Giants win the World Series, they always managed to make me look good (even though they didn’t have much to work with), and were always comfortable like a Herman Miller Aeron chair. Battered area that required "amputation". We have traveled together on numerous business trips, weekend getaways, and various vacations, including my trip to Machu Picchu. They have seen my ups and downs, and didn’t ask for anything in return. I took advantage of those jeans, despite having a whole stable in my closet. They legs dragged on the cold, hard streets of San Francisco when I didn’t want to put on a belt, causing them to fray and rip, resulting in the need for a little amputation, then after a while longer, a little more. I’ve fallen asleep with them on numerous times, whether it be passing out on the couch while watching a movie, or stumbling home drunk and crawling into my bed. They are normally one of the first things I reach for once I get out of the shower, and on a normal night, they find themselves, bunched up on the floor at the bottom of my bed. And there it is. A eulogy to my jeans. Perhaps its not normal to personify an inanimate object like a pair of jeans, but so what, I did. I guess its time to trash them, and hope the next new pair prove to be as good a companion as the last.